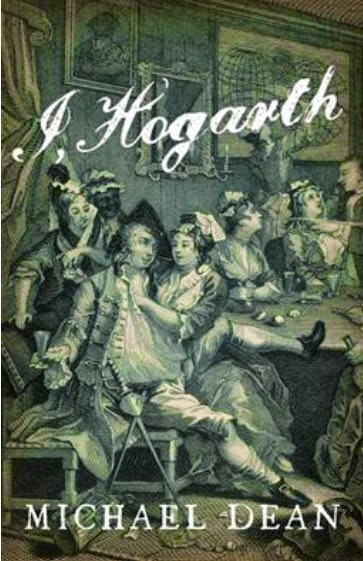 I, Hogarth is a very readable book which tells the story of William Hogarth, the famous Georgian painter and engraver. 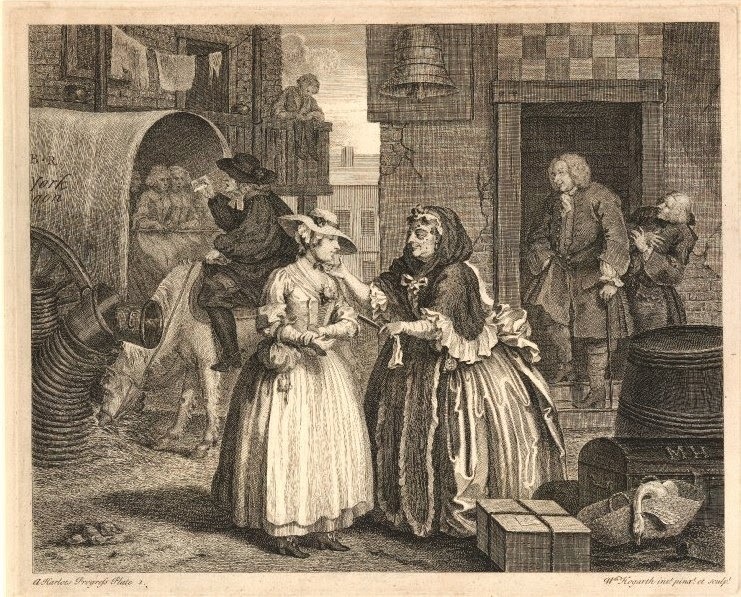 It vividly describes 18th century London and gives a background to many of the scenes that Hogarth represented in his work. Described as a ‘raucous novel of a raucous age’, in places I found it a little too coarse for my taste. It was easier to read than a traditional biography and gave me a real taste of what Hogarth was like. But at the end I had to ask, was it the right flavour? The author’s note explains that I, Hogarth “is a work of fiction, so some real events have been bent to the demands of the narrative: others omitted altogether, others invented.” And therein lies my problem. I do not know which parts of what I have read were true, and which were not. What was Hogarth really like? I am not an expert on William Hogarth. I know that he was a painter in the early Georgian period and that he produced several series of engravings on moral themes. 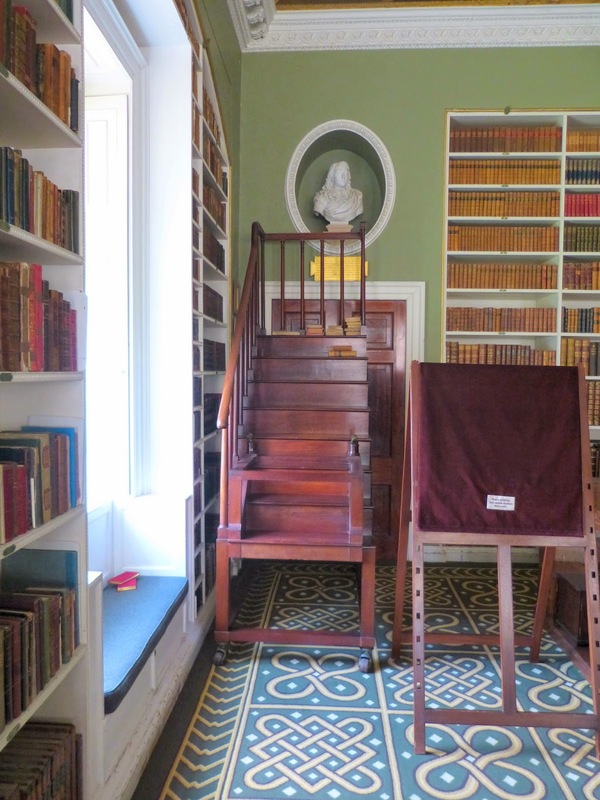 I have seen some of his original work – his colourful portrait of David and Maria Garrick at The First Georgians exhibition and the original paintings of A Rake’s Progress in the Picture Room of Sir John Soane’s Museum. And of course, I have seen many of his prints, both on and offline. Of the man I knew little. Dean depicts Hogarth as a man who started low and, through his own genius, built a successful career and married the daughter of the painter Sir James Thornhill. That much is history. But did Hogarth really frequent bawdy houses with such regularity and catch the pox? Did the man who painted pictures warning against the perilous life of the rake and the harlot have so few morals himself? The problem with a work of fiction based on fact is that it is impossible to separate the truth from the fiction. For example, I knew that the paintings of A Rake’s Progress had not gone up in flames, as it says in Dean’s book, as I had seen the originals. But what of A Harlot’s Progress? Did they burn as Dean says or was that made up too? 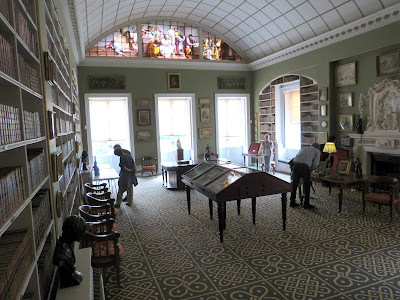 A little research showed me that both sets of paintings really had been owned by William Beckford, and that A Harlot’s Progress had indeed been destroyed by a fire at Beckford’s home at Fonthill Splendens in Wiltshire in 1755. I have to conclude that though this was, for the most part, an entertaining read, I find the genre of a fictional account of a historical person’s life confusing and dissatisfying. As a historian, I want to know fact. I don’t mind that fact being acted out for me with scenes that could have been true, but to change the truth, without any indication of what has been altered in the author’s note, leaves me with too many unanswered questions. 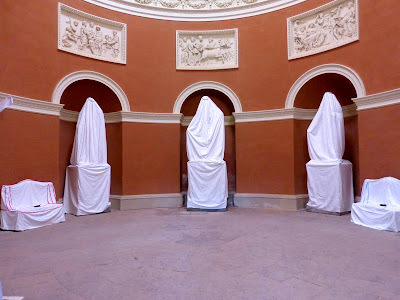 Sir Richard Colt Hoare (9 December 1758 – 19 May 1838) was an antiquarian and historian and the owner of the Stourhead estate in Wiltshire. 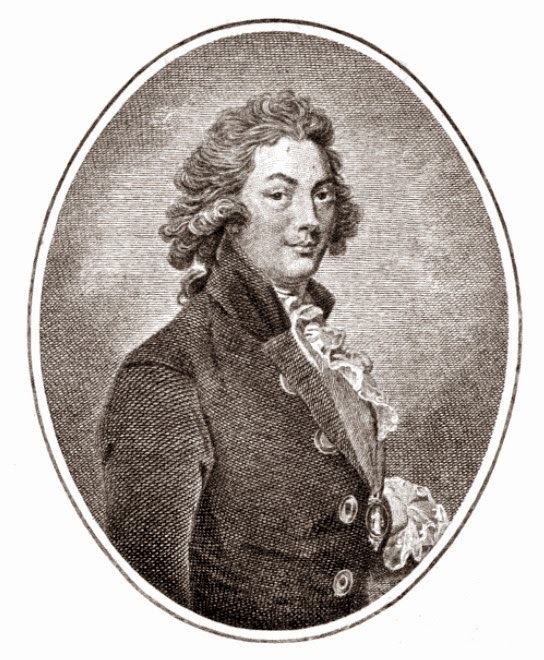 Richard Colt Hoare was born in Barnes, Surrey, on 9 December 1758, the eldest son of Sir Richard Hoare, 1st Baronet, who had married his first cousin, Anne Hoare, the younger daughter of Henry Hoare of Stourhead, senior partner of Hoare’s Bank. Richard’s mother died when he was six months old and his father remarried. He had six children by his second wife, Frances Acland, and Richard grew up with his half-siblings in Surrey. Richard pursued his classical studies with a tutor whilst training for a role in the family business, Hoare’s Bank. His grandfather, known as ‘Henry the Magnificent’, gave him a house in Lincoln’s Inn Fields and an allowance of £2000 a year when he came of age. 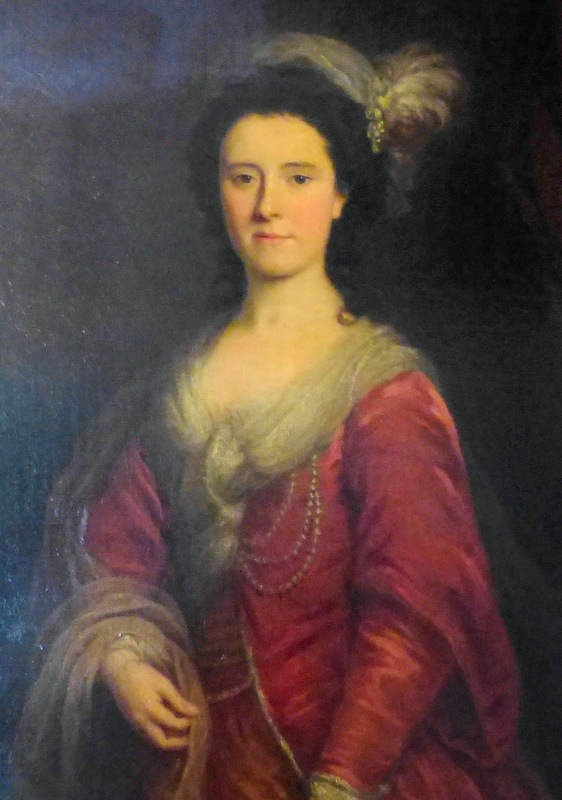 On 18 August 1783, Richard married Hester Lyttelton, daughter of William Lyttelton of Hagley, 1st Baron Lyttelton. They had one son, Henry, on 17 September 1784, but tragically, Hester died the following year, on 22 August 1785. 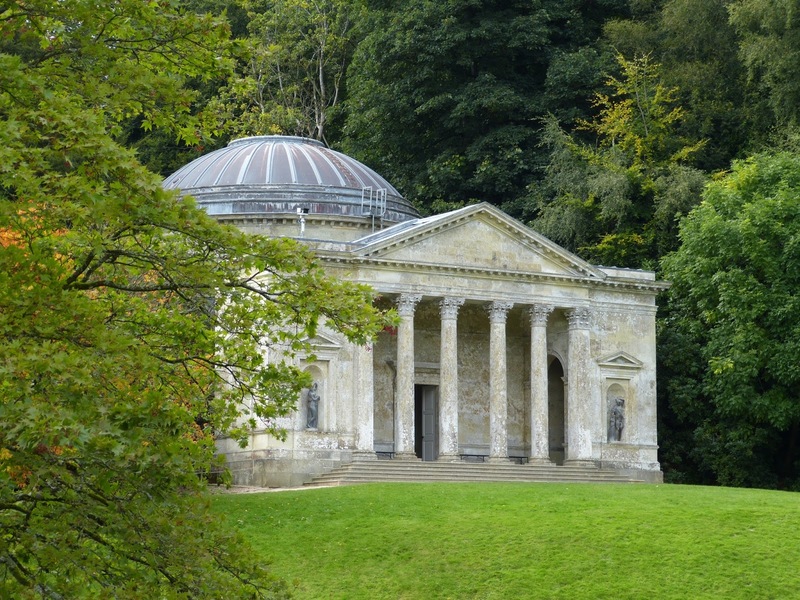 Shortly after the death of his wife, Richard inherited Stourhead from his grandfather, Henry Hoare, on the condition that he left the bank. Henry made this stipulation to ensure the survival of the Stourhead estate in the event that the bank should fail in the future. Deprived of both wife and career, Richard went on a Grand Tour, and for the next six years, he travelled extensively abroad, keeping detailed diaries. These were later published in Recollections abroad: journals of tours on the continent, 1785-1791 (1815-18). He subsequently toured throughout Britain and Ireland, recording his travels with the same meticulous detail. Richard was very interested in the history and archaeology of Wiltshire and amassed a huge collection of books and drawings. He was the author of The Ancient History of South Wiltshire (1812, 1819) and wrote the majority of The History of Modern Wiltshire (1822-44). He was elected a fellow of the Society of Antiquaries and admitted to the Society of Dilettanti in 1792. 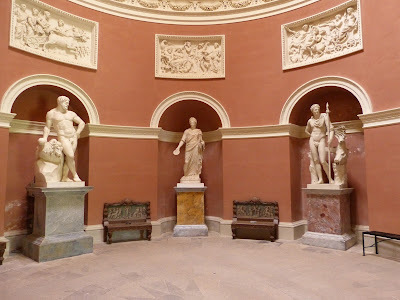 In 1825, he gave his collection of Italian topographical and historical works to the British Museum. Richard was a keen sportsman and bought a fishing lodge in Bala in Gwynedd, Wales, in 1796. He also had a house in St James’ Square, London. 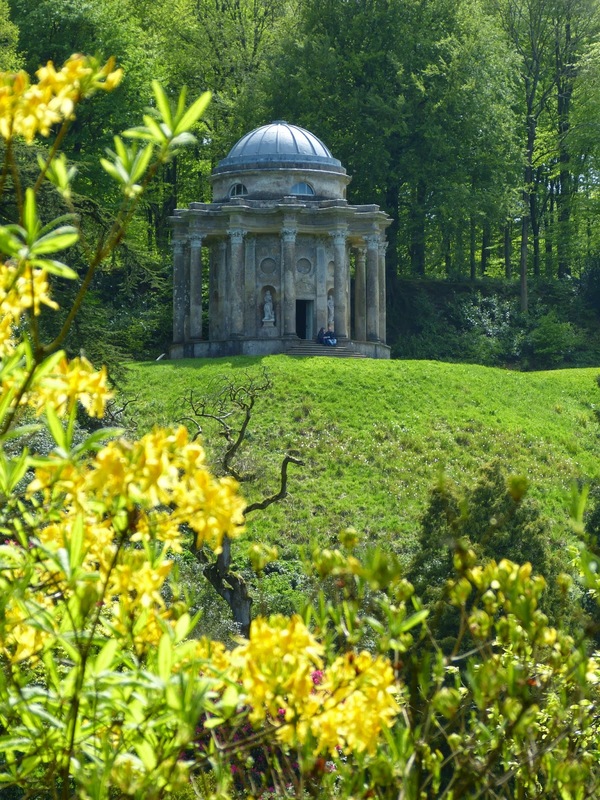 Richard developed the gardens at Stourhead, planting trees and collecting exotic plants, leading to his election as a member of the Linnean Society in 1812. 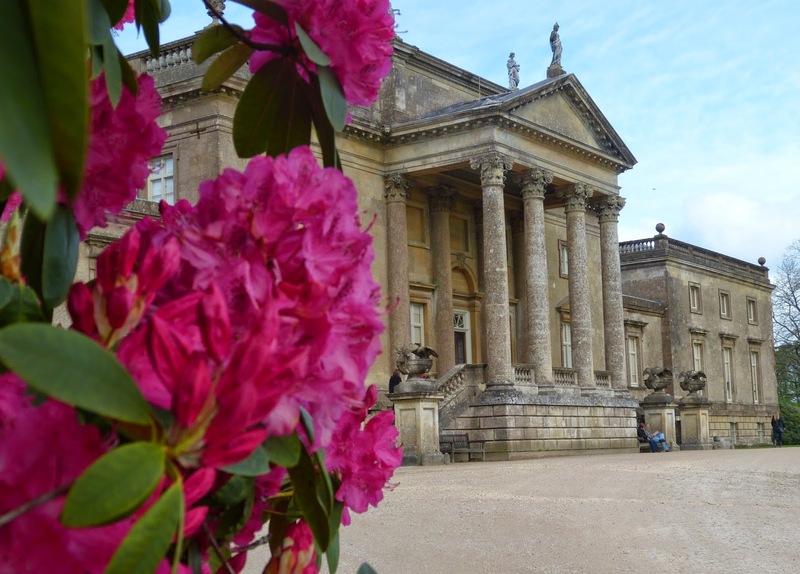 Between 1798 and 1820, Richard employed Thomas Chippendale the Younger to make furnishings for Stourhead to the value of around £3,500. 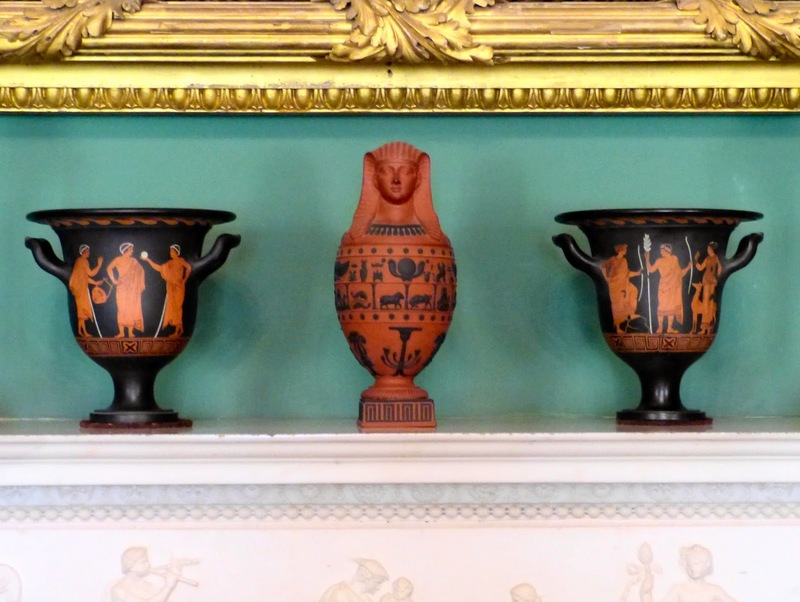 Chippendale’s work included furniture for Richard’s two new rooms, some pieces in the Egyptian style and others in an advanced Grecian taste. Richard commissioned works from the water-colourist Francis Nicholson, the portrait artist Samuel Woodforde and JMW Turner. The relationship between Richard and his son Henry was very strained. Henry was devoted to a life of pleasure and his father was left to settle his debts. Henry died in 1836 leaving one daughter, Ann. Richard suffered from gout and rheumatism and became increasingly deaf. 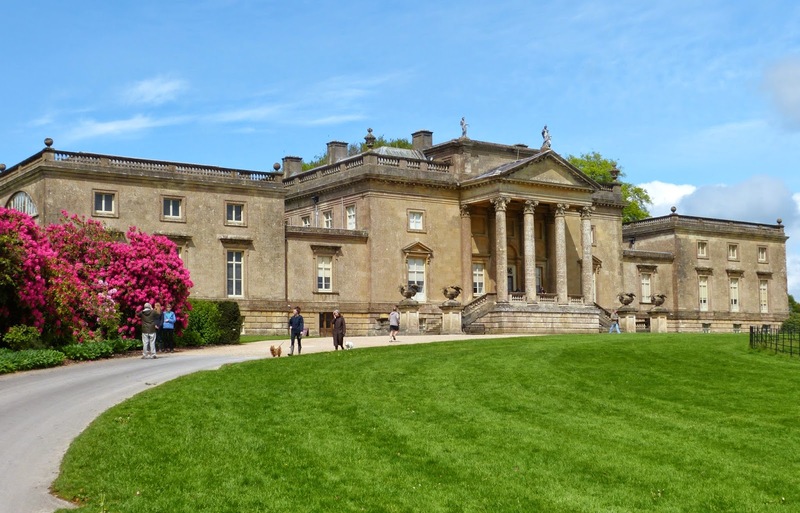 He lived mainly at Stourhead with occasional visits to Bath. He died on 19 May 1838 at Stourhead and was buried at St Peter’s, Stourton. 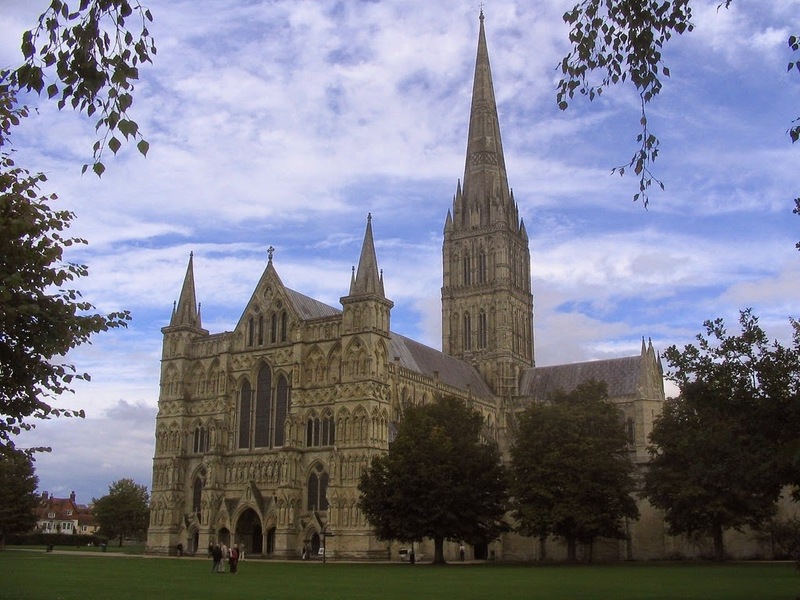 There is a marble statue to his memory in Salisbury Cathedral. 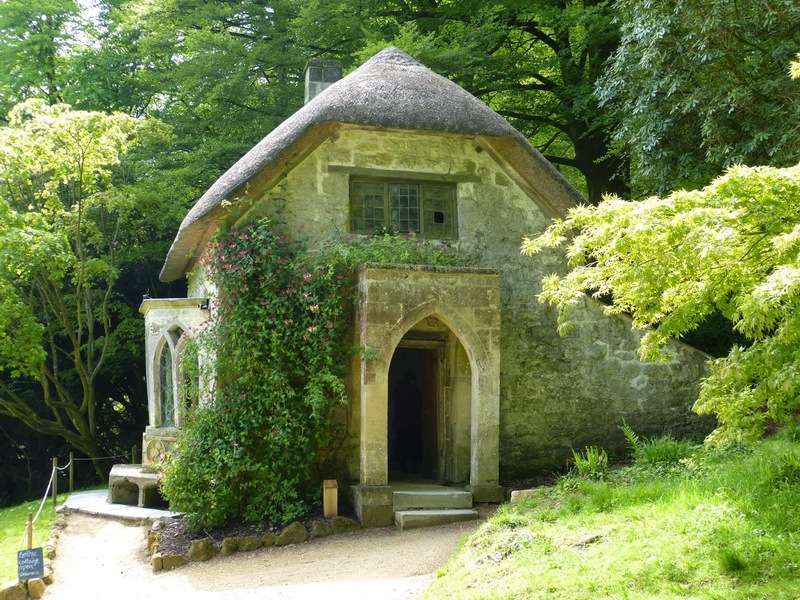 (1) These were the only rooms to escape the fire which devastated the house at Stourhead in 1902. 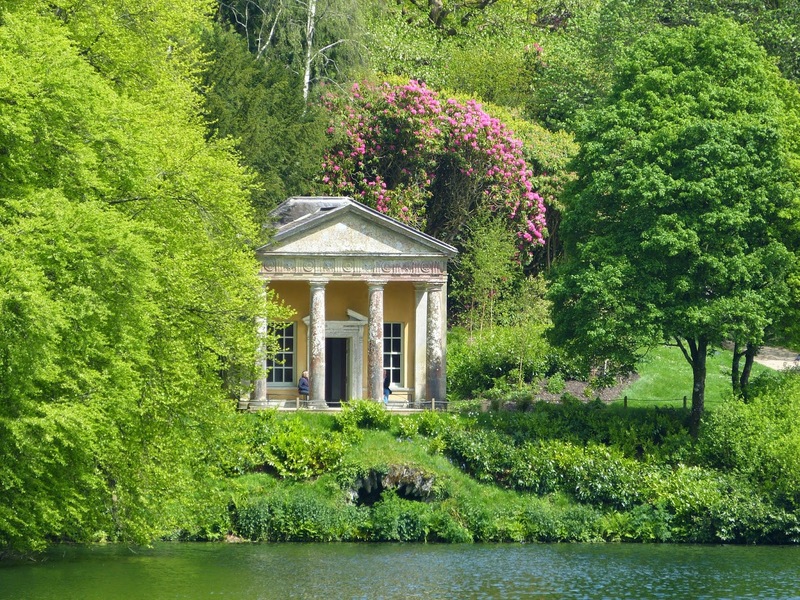 Stourhead is a Palladian mansion with beautifully landscaped gardens situated near Mere in Wiltshire. The Stourton estate was bought by the banker, Henry Hoare, in 1717. 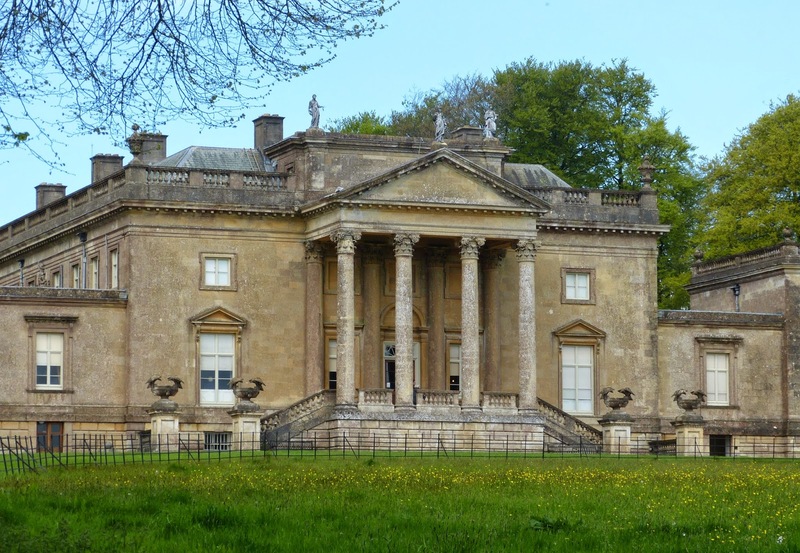 He replaced the existing manor house with a Palladian mansion and christened it Stourhead. His son, also called Henry Hoare, was responsible for landscaping the gardens. In 1902, the central section of the house was completely gutted by fire and Sir Henry Hugh Arthur Hoare oversaw its restoration. 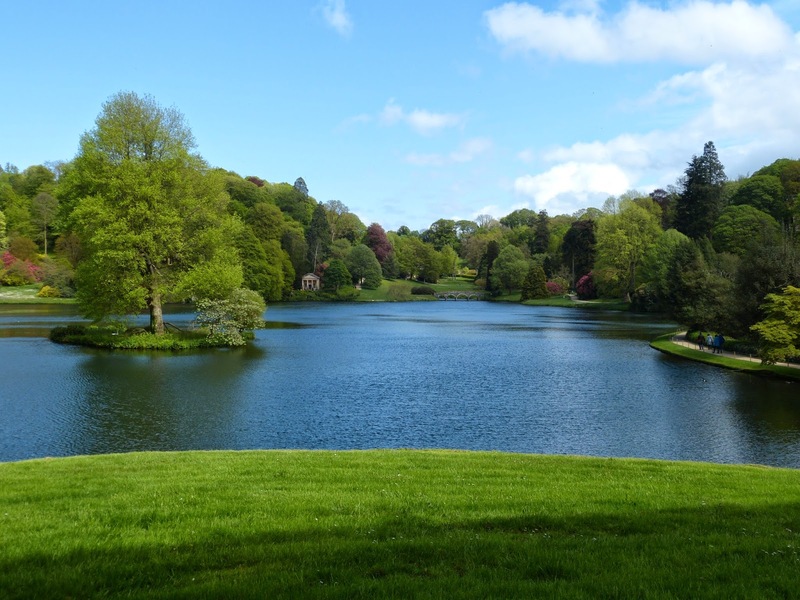 In 1946, after his only son was killed in the war, Sir Henry gave Stourhead to the National Trust in order to keep the estate intact. Henry Hoare was a partner in Hoare’s Bank, which his father, Sir Richard Hoare, had founded in 1672. 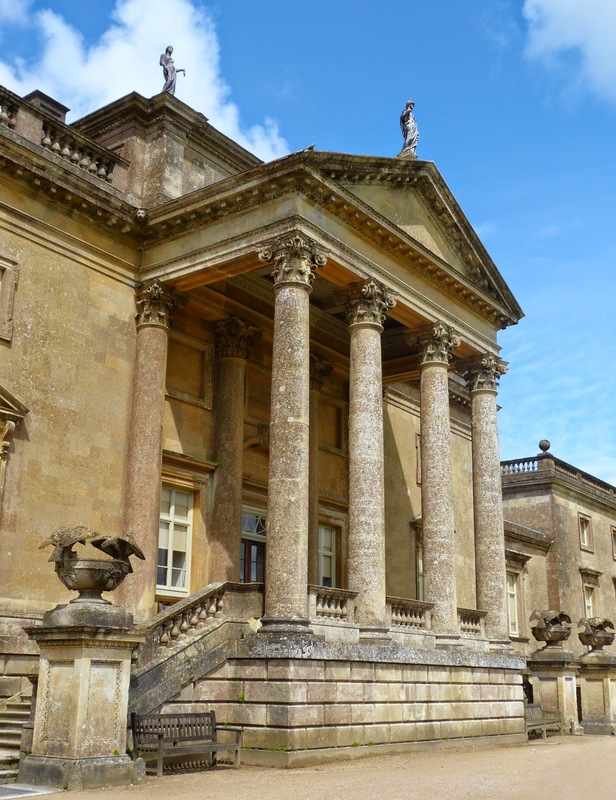 He bought Stourton manor in 1717 and replaced the existing building with a Palladian mansion designed by Colen Campbell which he renamed Stourhead. Henry married his cousin Jane and had 11 children. His two surviving sons, Henry and Richard, succeeded him in the bank. He increased his wealth by successful speculation, especially in South Sea Company stock. Henry was known for his philanthropy to the poor which gained him the nickname ‘Good Henry’. Henry’s eldest son, also called Henry, inherited the estate in 1725, just after the house was completed. He became a partner in Hoare’s bank in the same year, at the age of 19, a position he held for the rest of his life. Henry was MP for Salisbury (1734-41). In 1726, Henry married Anne Masham but she died a year later leaving a daughter who did not live to adulthood. He remarried in 1728 and had five children with his second wife, Susan Colt. Sadly, two of his three sons died in infanthood and the other in his early twenties. His younger daughter Anne married her first cousin, Richard Hoare, but also died young. Their son, Richard Colt Hoare, inherited his grandfather’s estate. 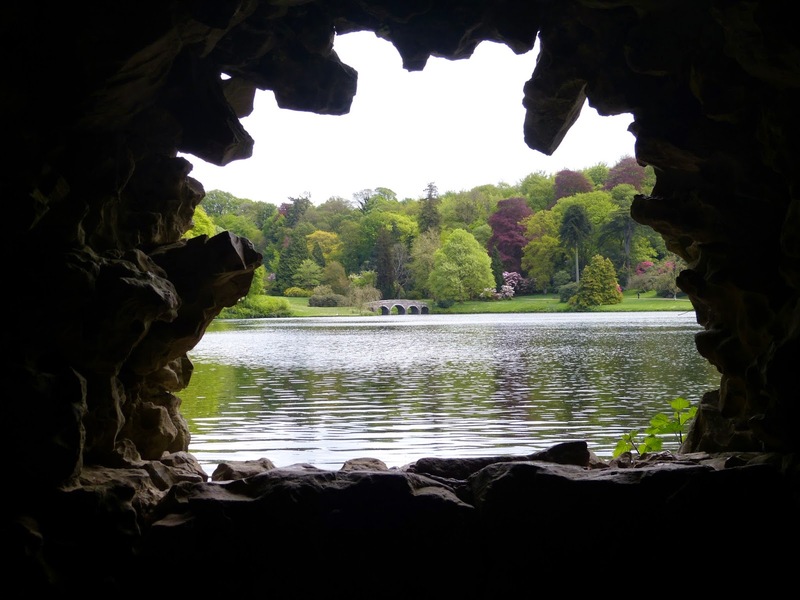 After the death of his second wife, Henry devoted himself to Stourhead. He dammed the River Stour to create an ornamental lake and commissioned Henry Flitcroft to design buildings around it – the classical temples of Flora (1745) and Apollo (1765) and the Pantheon (1753-4). 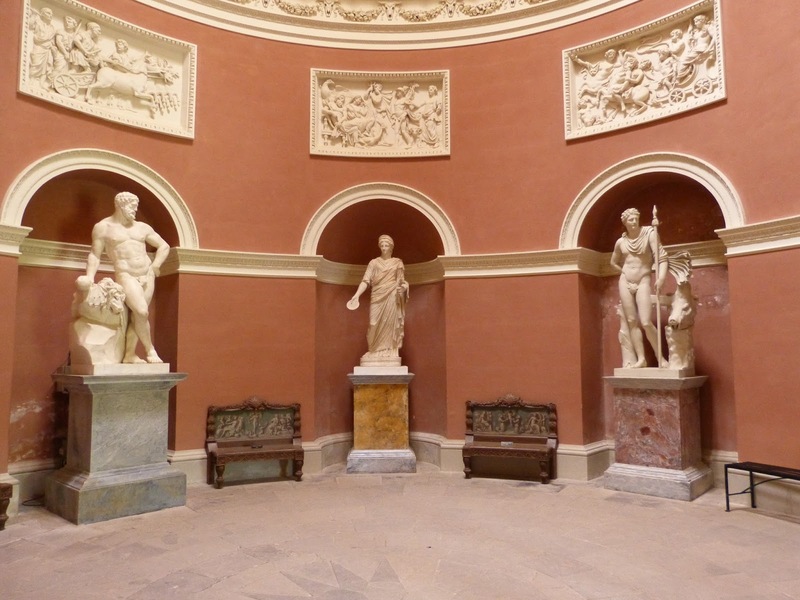 The sculptor John Michael Rysbrack worked at Stourhead and his Hercules (1756) is in the Pantheon. 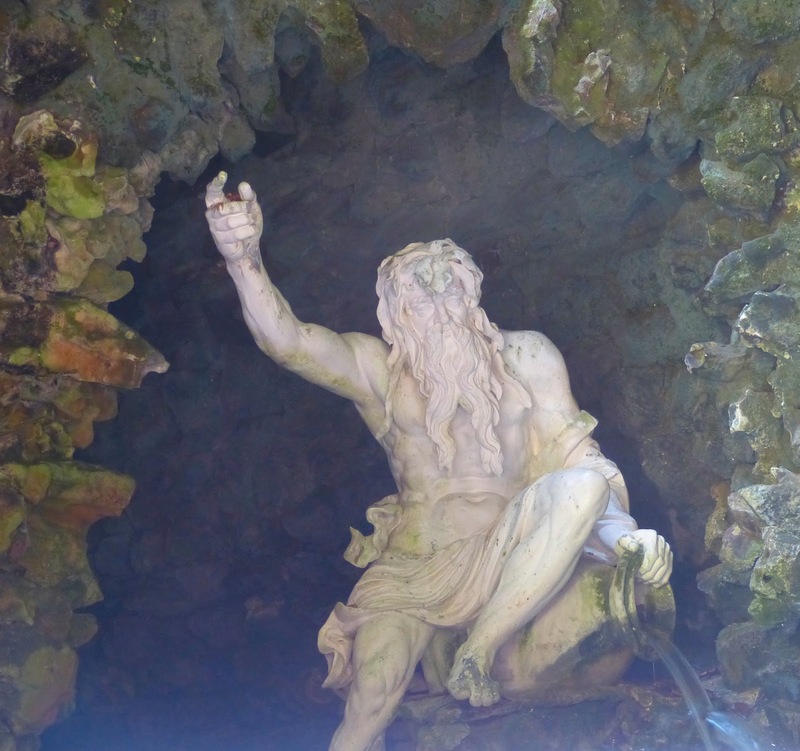 Other features added include the Stone Bridge, a cascade, the Grotto and the Hermit’s Cave. When they were finished, the gardens attracted numerous visitors and were widely admired. 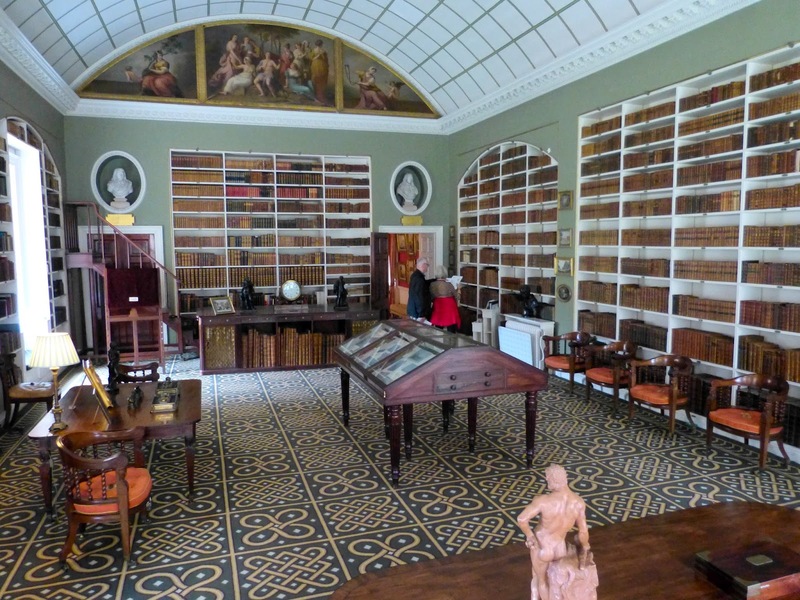 Henry was a prolific collector and acquired many works of art which he displayed at Stourhead. He gained the nickname ‘Henry the Magnificent’. Richard Colt Hoare married Hester Lyttelton in 1783 and they had a son, Henry, the following year. In August 1785, Hester died. The following month, Henry’s grandfather died and he inherited the Stourhead estate on condition that he left the bank. Deprived of both wife and career, Richard went on a Grand Tour over the next six years, keeping detailed diaries of his travels. 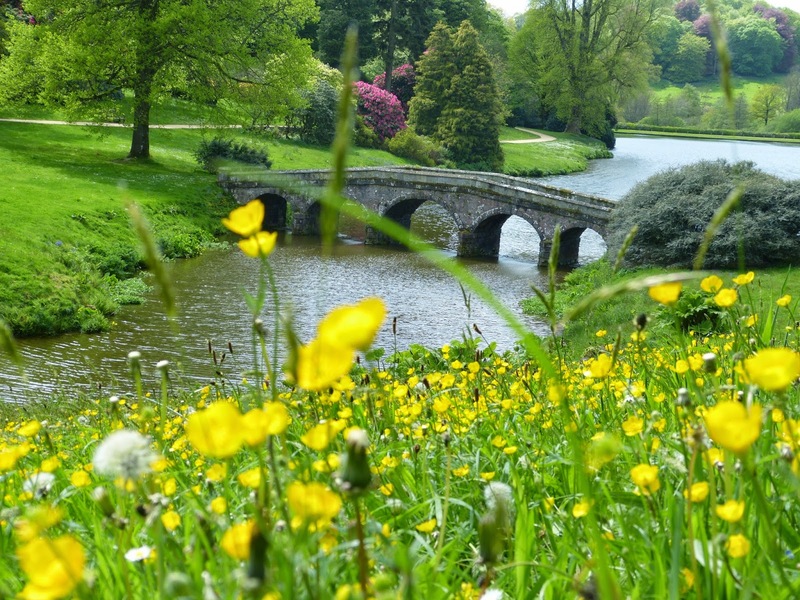 Richard returned home and spent the next forty years developing the house and gardens at Stourhead. He was a keen antiquarian and spent many years researching the history of Wiltshire, amassing a huge collection of books and drawings. 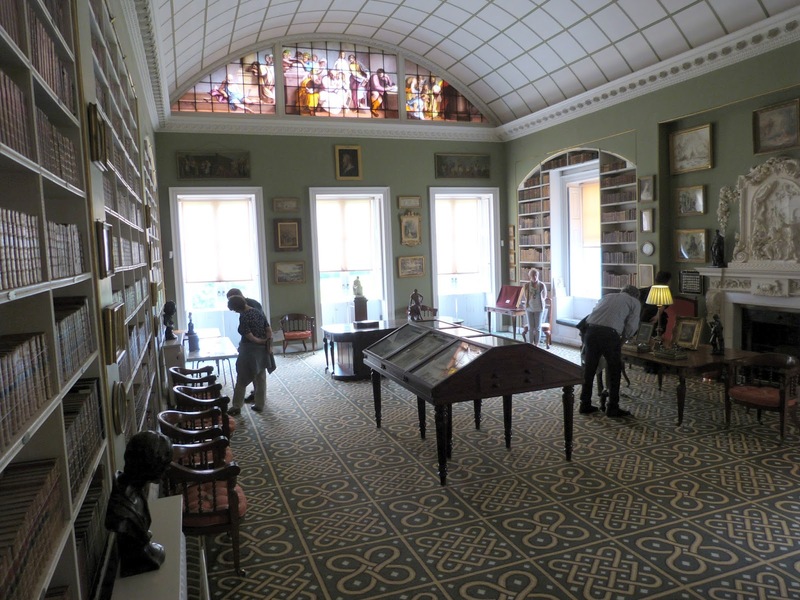 He also collected many works of art and he added two wings to Stourhead to hold his collections – the Library at one end and the Picture Gallery at the other. 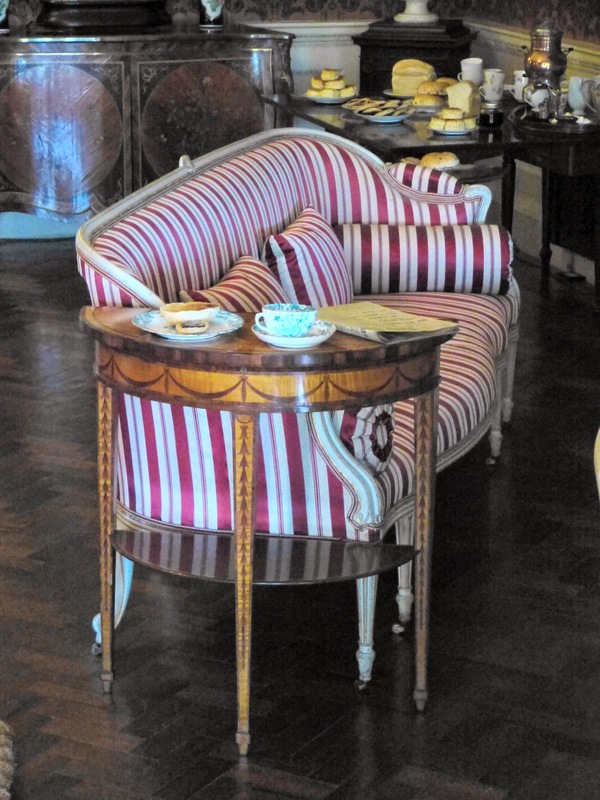 Thomas Chippendale the Younger made furniture for these and other rooms at Stourhead. These were the only rooms to escape the fire of 1902. • Ornamental buildings around the lake designed by Henry Flitcroft – the Temples of Flora and Apollo and the Pantheon. More of Andrew's photographs of Stourhead here. 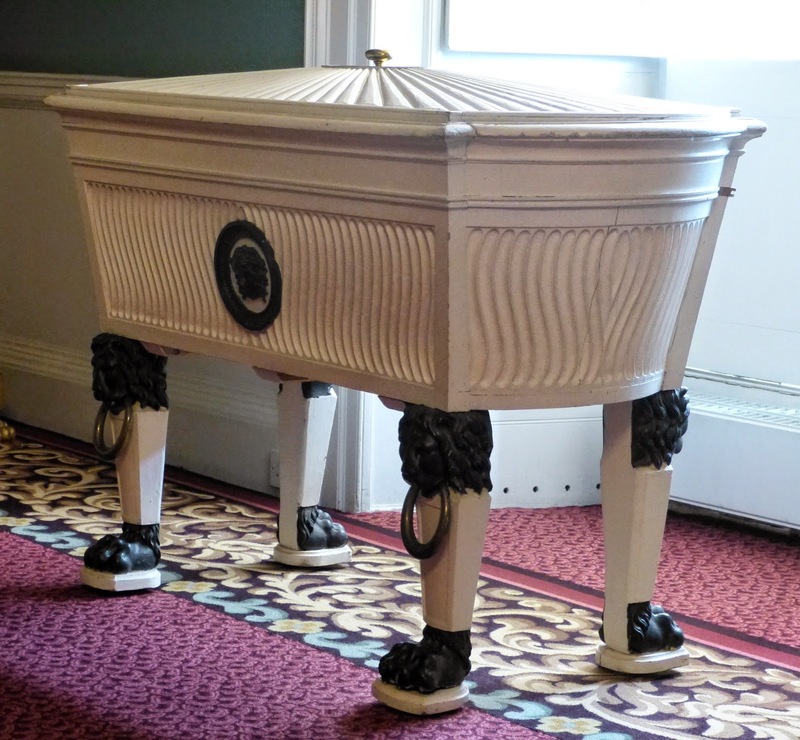 By the time of the Regency, Bath was no longer the fashionable resort that it had once been. The rise in popularity of sea bathing had sent the ton flocking to towns such as Weymouth and Brighton, leaving Bath to the invalids and those who could not afford to keep up a fashionable lifestyle in London. 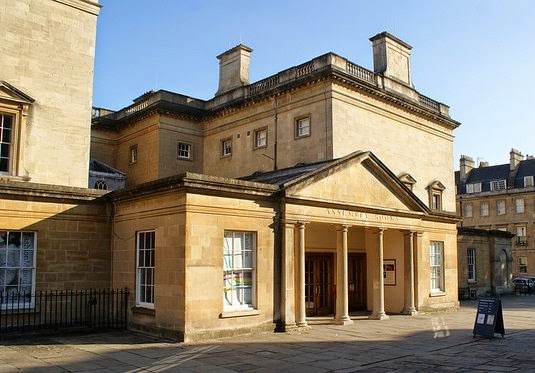 Bath society was served by two sets of Assembly Rooms, the Lower Rooms and the New or Upper Rooms. 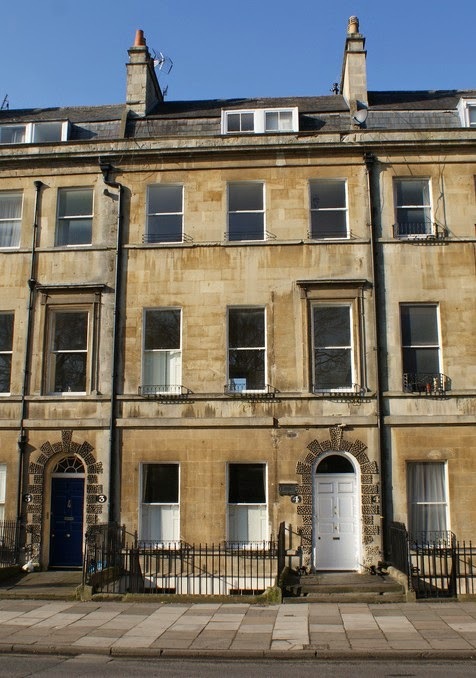 Jane Austen lived in Bath from 1801 to 1805, and she used her personal experience to bring the city to life in her books. 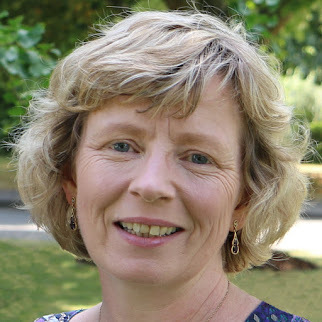 Two of her novels are partly set in Bath: Persuasion and Northanger Abbey. 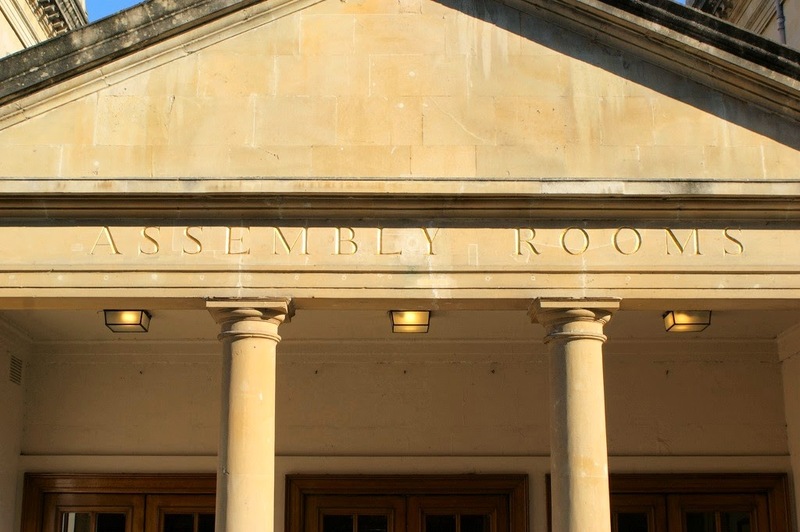 The Assembly Rooms play a small but important part in Persuasion; they are the backdrop for a pivotal scene in the story. The heroine, Anne Elliot, is eager to visit the Rooms in the hope of meeting Captain Wentworth, but she is prevented by her father’s snobbish attitude. 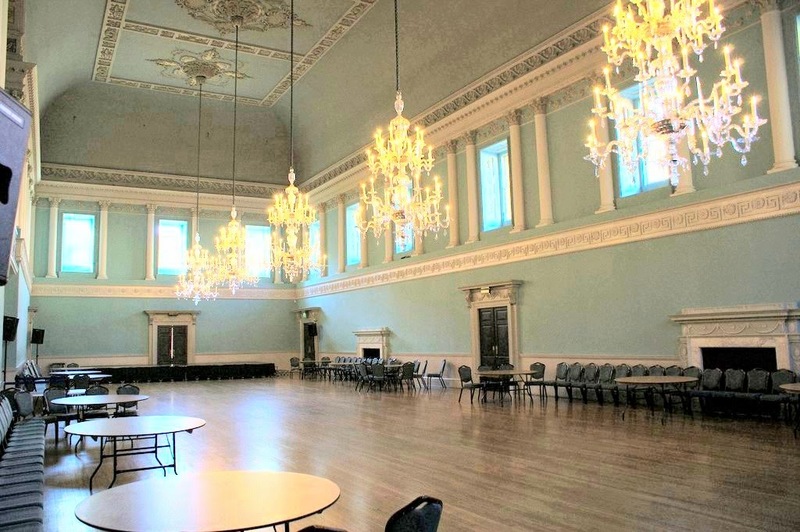 The Concert Room referred to was the Tea Room, which was mainly used for concerts and refreshments. It is at this concert that Anne Elliot begins to hope that her affection for Captain Wentworth is returned when that gentleman storms off in a jealous rage. 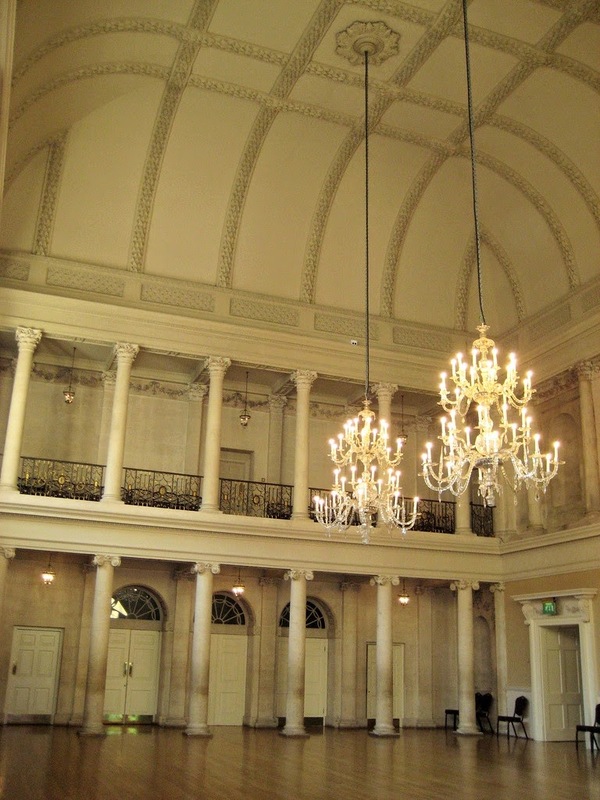 In Northanger Abbey, the heroine, Catherine Morland, often visits both the Upper and Lower Rooms. 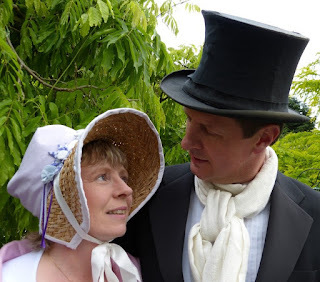 Catherine’s conversation with Mr Tilney reveals that she visited the Upper Rooms on Monday, the theatre on Tuesday and a concert on Wednesday. 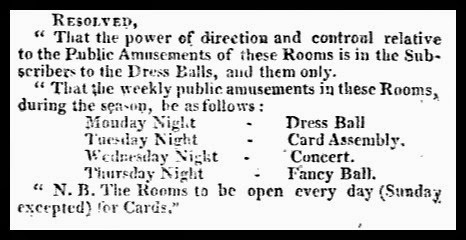 The programme of events at the Upper Rooms indicates that it was a dress ball that she attended at the Upper Rooms and that the concert was also held there. At first glance, it seems as if Jane Austen has got her facts wrong. 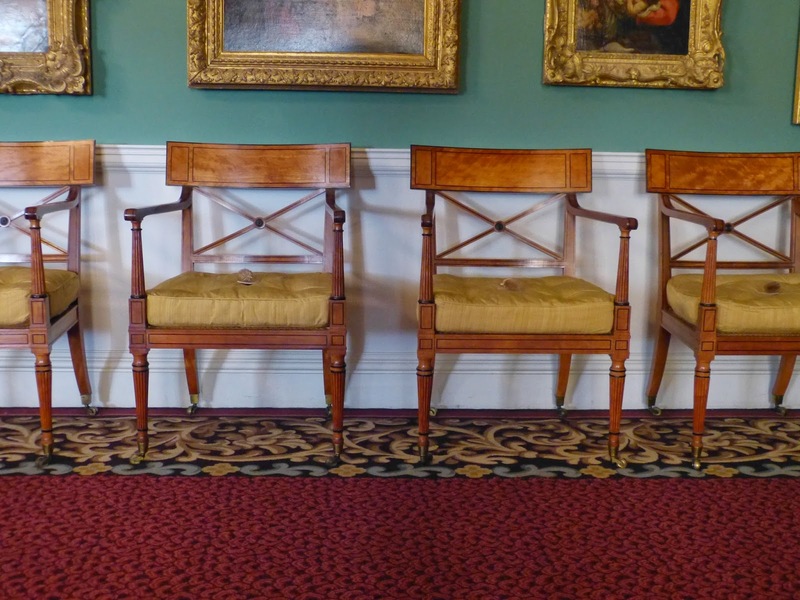 When Northanger Abbey was published in 1818, Mr King had long since ceased to be the Master of Ceremonies at the Lower Rooms; he was promoted to the Upper Rooms in 1805. 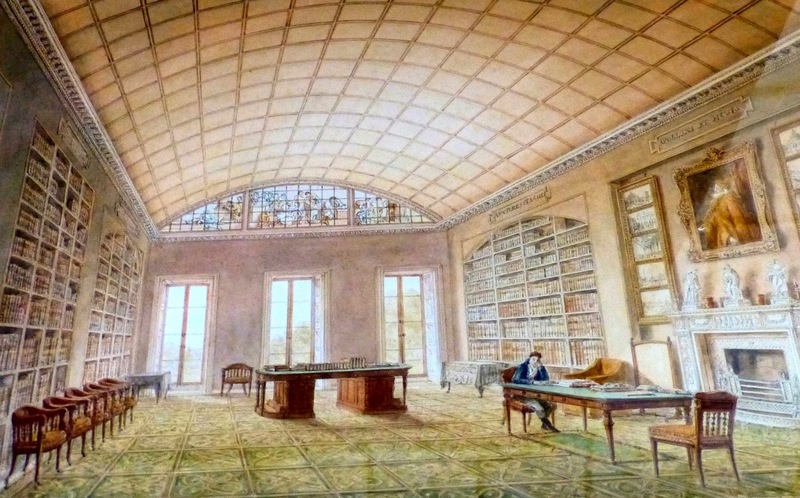 However, Jane Austen wrote Northanger Abbey in the late 1790s and first submitted it for publication in 1803, at which time Mr King was still presiding over the Lower Rooms. One of the confusing things about the Georgian royals is that they were not very original when it came to names. As a result, we have four kings with the same name: George I, II, III and IV. At least they have numbers after their names to distinguish them! When I visited the First Georgians exhibition at the Queen's Gallery, Buckingham Palace, London, one of the displays talked about the Duke of Cumberland’s collection of maps. But which Duke of Cumberland? 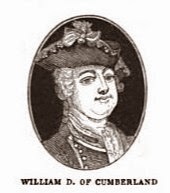 During the Georgian period, there were three different Dukes of Cumberland. They had different Christian names – William, Henry and Ernest – but were usually referred to by their title alone. So which Duke of Cumberland was it talking about? I suspected it was the first Duke of Cumberland, but I was not sure. I decided to research the three Dukes. I already knew about the third Duke, Ernest. But what were the other two like and how did they fit into the royal family? I needed to know when each Duke lived and died in order to know who the Duke of Cumberland was in a specific year. I discovered that the title did not pass from father to son as might be expected, but was created afresh in each generation as neither of the first two Dukes had legitimate heirs to inherit the title. But despite this, the three Dukes had a lot in common. They were all forceful characters who exerted a strong influence over their current or future sovereigns and possessed scandalous reputations. Prince William (26 April 1721(1) – 31 October 1765) was the third son of George II and Queen Caroline and uncle to George III. He was created Duke of Cumberland in 1726. 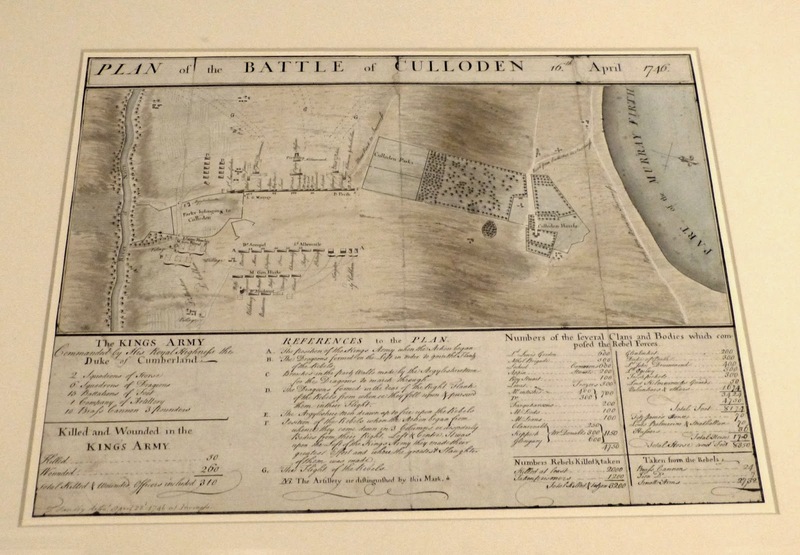 William, Duke of Cumberland is most remembered for his role in the Battle of Culloden in 1746. His Whig supporters nicknamed him ‘Sweet William’ for successfully quashing the Jacobite rebels, but his Tory enemies dubbed him ‘Butcher Cumberland’ for showing no mercy to his enemies, even after they had surrendered. 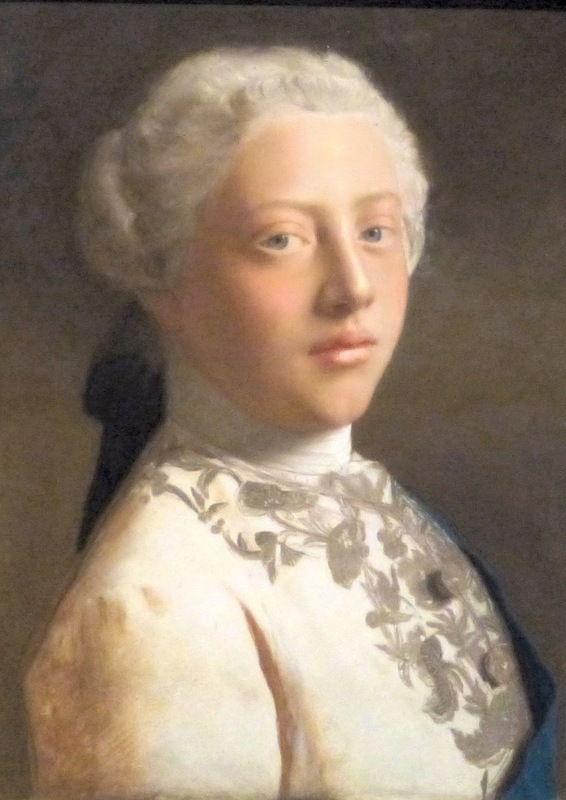 The Duke was one of George III’s key advisors in the early years of his reign and he resented the fact that George's mother Augusta was appointed Regent should George II die before George III had reached his majority rather than himself. He died unmarried in 1765. 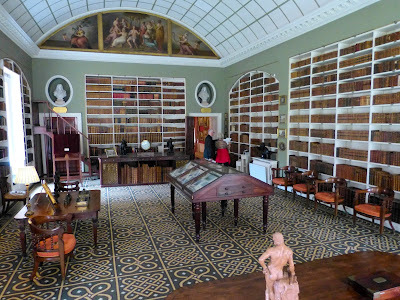 And yes, it was this Duke who was fond of collecting maps, some of which were on display in the First Georgians exhibition. Prince Henry (7 November 1745(2) – 18 September 1790) was the fourth son of Frederick, Prince of Wales, and Princess Augusta, and a younger brother of George III. He was made Duke of Cumberland and Strathearn and Earl of Dublin in 1766. He died in 1790 without any legitimate issue. Henry, Duke of Cumberland, was known for his disreputable liaisons. 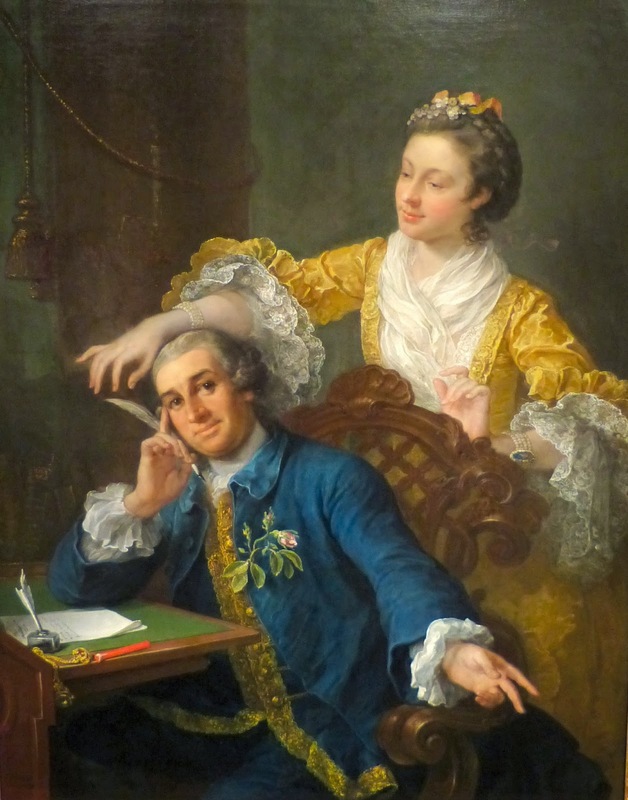 In 1769, he was found in a compromising situation with Lady Grosvenor and her husband successfully sued him for ‘criminal conversation’, that is, adultery. 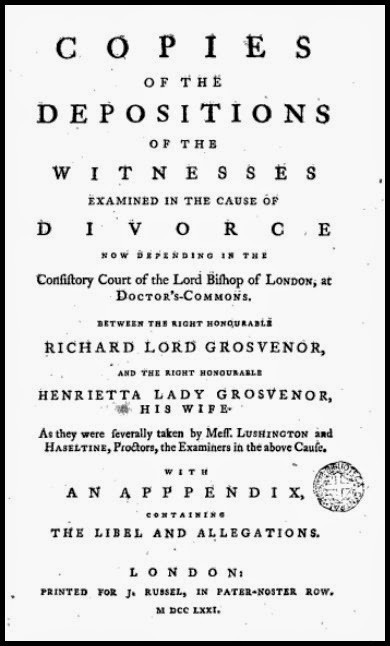 Lord Grosvenor was awarded damages of £10,000 and the case generated lots of adverse publicity for the royal family. But his crowning folly was his marriage in 1771 to the widow Anne Horton, a commoner with a dubious reputation. This union alienated his brother George III and triggered the Royal Marriages Act of 1772, which required the King’s permission for the marriage of any descendant of George II. The Duke was reconciled to George III after offering his services during the Gordon Riots of 1780, but this new understanding did not last. 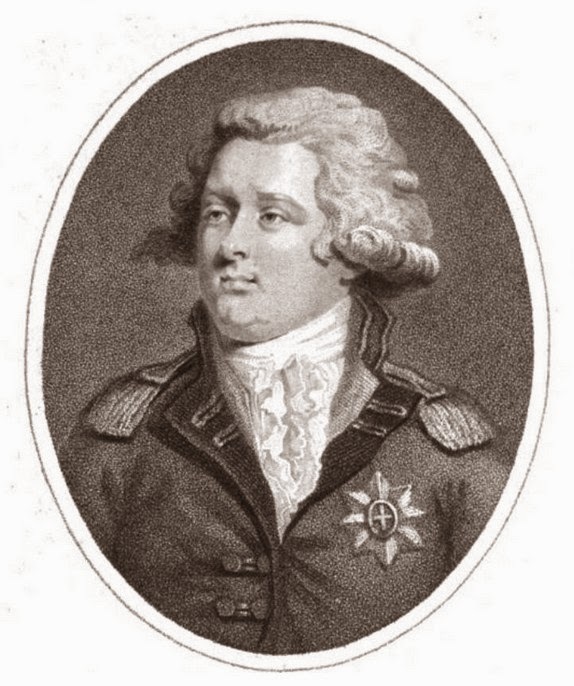 Henry became increasingly friendly with George, Prince of Wales, and George III resented the unhealthy influence that the Duke had over his son. Prince Ernest (5 June 1771 – 18 November 1851) was the fifth son of George III and Queen Charlotte. He was made Duke of Cumberland in 1799 and became King of Hanover on William IV’s death in 1837. His son, George, succeeded him. Like the previous holders of the title, Ernest, Duke of Cumberland, seemed to attract controversy. 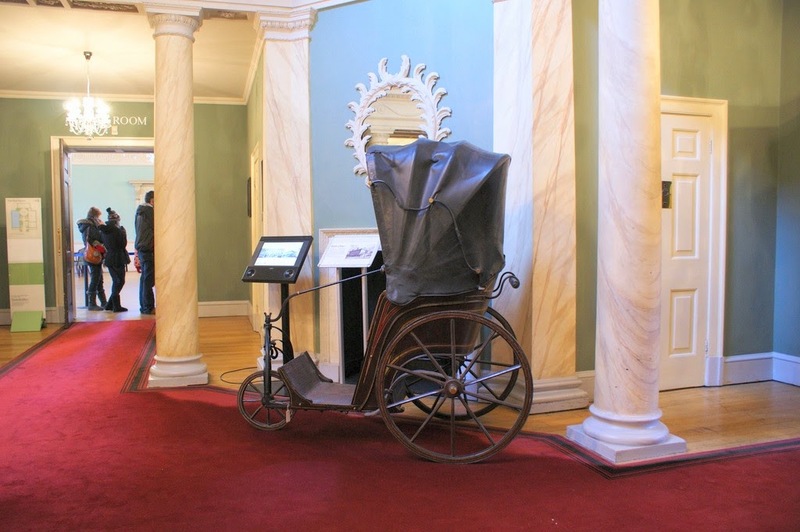 When his valet committed suicide in 1810, Ernest was accused of his murder. When it was rumoured that his sister Sophia had given birth to an illegitimate child, it was alleged that he was the father. 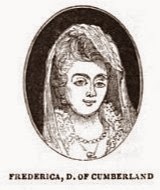 When his cousin Princess Frederica’s husband died suddenly in 1814, conveniently releasing her from her marriage so that she could marry Ernest, his now twice widowed wife was suspected of murder. Ernest was a radical Tory and strongly Protestant in his politics. He was a strong influence on his brother George IV and urged him to stand against the Catholic Relief Act, temporarily bringing down Wellington’s government as a result. He was vehemently opposed to the Reform Act of 1832. 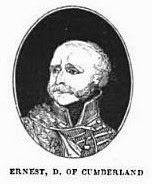 Read more about Ernest, Duke of Cumberland, here. (1) As William was born before the adoption of the Gregorian calendar in 1752, his date of birth is sometimes given as 15 April 1721. This is the date based on the Julian calendar which was 11 days adrift from the Gregorian calendar. (2) Henry’s birth date is sometimes given as 26 October 1745 (Oxford DNB) - see (1) above. I have also seen it recorded as 27 October 1745 (Wikisource) and 7 November 1744 (The Georgian Era), but think that on the new calendar, 7 November 1745 is right. 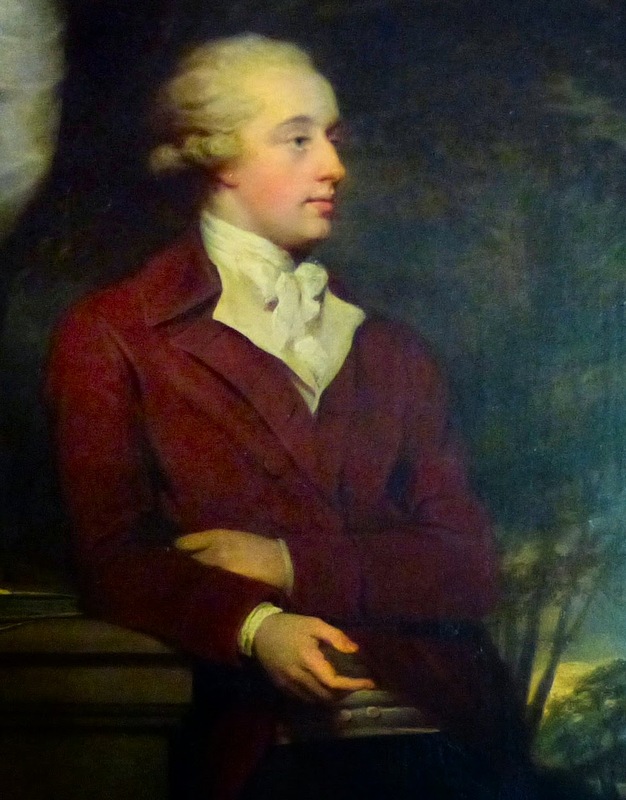 My post on Ernest, Duke of Cumberland. The pictures of the Dukes and Duchess of Cumberland are all from The Georgian Era by Clarke (1832).